EIT RawMaterials unites more than 120 partners from leading industry, universities and research institutions from more than 20 EU countries. Partners of EIT RawMaterials are active across the entire raw materials value chain; from exploration, mining and mineral processing to substitution, recycling and circular economy. They collaborate on finding new, innovative solutions to secure the supplies and improve the raw materials sector in Europe. There are six regional Innovation Hubs in Belgium, Finland, France, Italy, Poland and Sweden, called Co-Location Centres (CLCs) that represent different regional ecosystems connecting industry, research and education. 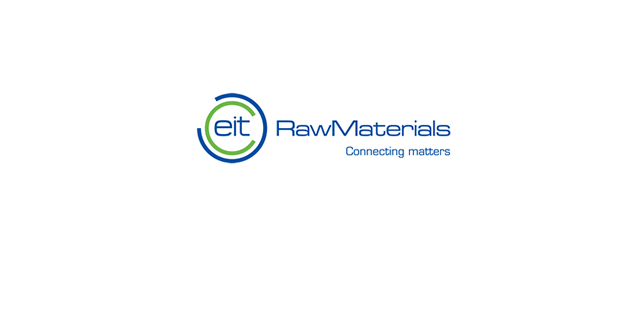 EIT RawMaterials aims to significantly enhance innovation in the raw materials sector by sharing knowledge, facilitating matchmaking activities, developing innovative technologies and supporting business creation. EIT RawMaterials will generate a significant impact on European competitiveness and employment by driving and fostering innovation and empowering students, entrepreneurs and education partners driving towards the circular economy. This will result in the introduction of innovative and sustainable products, processes and services, as well as talented people that will deliver increased economic, environmental and social sustainability to the European society. Through the European Commission [DG for Internal Market, Industry, Entrepreneurship and SMEs; Space Data and Societal Challenges and Growth/Space Policy, Copernicus and Defence], EIT RawMaterials has been awarded a grant for ‘Building skills and earth observation related expertise through Copernicus, the RawMatCop programme. RawMatCop was launched in 2017 and aims to develop skills, expertise, demonstrations, and applications of Copernicus data to the raw materials sector. Concretely, RawMatCop will investigate how Copernicus / Earth Observation data and services can be applied to create solutions to raw materials challenges through post-doctoral research projects and academic placement projects carried out by partners of EIT RawMaterials. Post-doctoral research scholarship projects: Applied projects to develop new skills and expertise in the use of Earth observation in the raw materials sector. RawMATCop short courses: Lifelong learning and training courses for demonstrating, disseminating and teaching and training skills and utilization of Earth observation data to professionals and existing/potential end-users. User-forum event: Larger user-forum/conference aimed at exchanging experience and skills on the use of Earth observation data, especially Copernicus data, and at technology transfer and future development/integration of earth observation data and applications with new technologies, products and services. Coordinate the RawMatCop programme. This will include RawMatCop programme implementation, coordination of the post-doctoral and placement research projects, and ensuring alignment to EIT RawMaterials strategic objectives, together with the Head of Academy. Dissemination and visibility of RawMatCop. Awareness raising and increasing visibility of the RawMatCop programme and its results within the raw materials and Earth Observation communities. Willingness to travel to to partners, conferences and events in Europe. A scientific background with knowledge of Earth observation, remote sensing, geoinformatics and/or raw materials-related disciplines. The post holder will work closely with EIT RawMaterials’ Education Team and will report to the Head of Academy. The RawMatCop Manager will be employed by EIT RawMaterials GmbH in Berlin. The position will be full time (40 hours per week), limited by two years with possibility for further extention, starting date as early as possible in 2019. For further information about EIT RawMaterials, see: http://eitrawmaterials.eu/. Application deadline: 31 December 2018, 00h00 CET. We encourage diversity in our team!